Feb 7, 2019 | 0 Votes by Aethyna - rate Your vote Looking to turn your home into a smart home but you have a limited budget to do so? Well, here are the few smart devices you need to get started! In this modern age where everything from purchasing movie tickets to manufacturing cars are almost fully automated, greatly improving efficiency and convenience, it’s no wonder why these automations are more than welcome to transform our homes into smart ones, making our time in our respective “pads” so much more relaxing, energy-efficient and secure. What Actually is A Smart Home? Well, a Smart Home is a home that contains a series of smart devices, electronics, appliances and gadgets, all working together automatically to provide you with what you’ve programmed to do. It’s basically all about home automation, and it’s now easier than ever to turn your home smart! Generally, there are only a couple of things you’ll need to bear in mind when setting up as simple smart home – a central smart hub, a smart thermostat, smart light switches, and a smart home door lock. The hub is where you’ll be connecting all of your smart devices and appliances to, and to control them, usually via voice recognition. Getting a good smart hub is critical because it is the only device you’ll be interacting with in order to get your other smart devices to do your bidding. Thankfully, finding a great one isn’t at all hard. Depending on your budget, you can opt for a “smart assistant”, such as the Amazon Echo or Google Home, or you can grab a “proper” home hub like Samsung’s SmartThings or the Wink Hub 2. Living in a place with four seasons and increasingly unpredictable climate, it’s always wise to grab a smart thermostat first just so you can feel comfortable the moment you step into your home, and you’ll be able to save a ton in your heating bill, slashing it to half or even less. 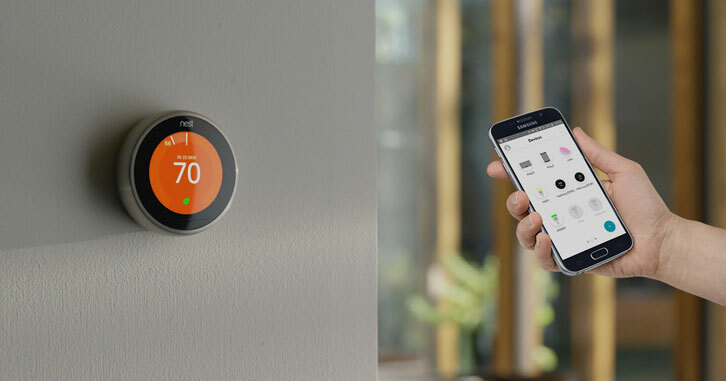 Currently, one of the best ones on the market is the Nest Learning Thermostat. It’s not only efficient, but considering the savings it can get you, you can easily recoup the initial cost within the first year or so. However, if you’re looking for something more affordable, you might want to give Nest’s E-Smart Thermostat a go instead – it’s just as good at its job! What’s a Smart Home if you don’t have smart light switches that can turn themselves on or off with having you to be physically there, am I right? 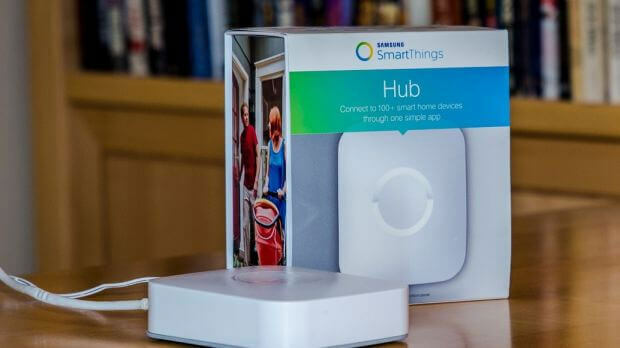 There are plenty on the market that you can choose from and most of them come with Wi-Fi or bluetooth capability so you can connect them to your home hub, allowing you to control your light switches from anywhere in your home or even when you’re not at home. While you’re at it and if you have some budget to spare, you can grab a couple of those dimmable smart light bulbs from Philips too. 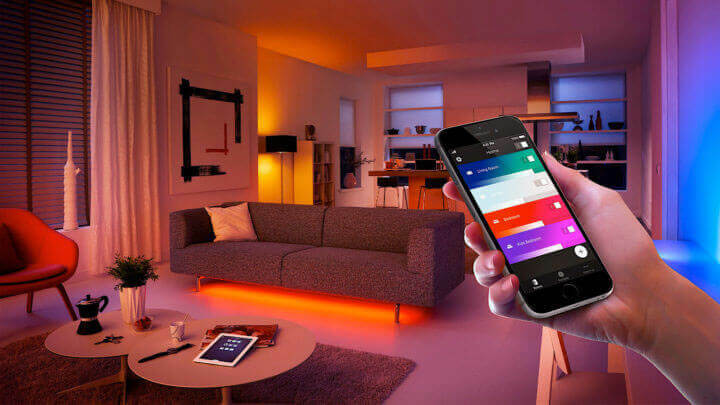 These bulbs aren’t only long-lasting and energy efficient; they also come with color ambiance (multi-colored lights) and can change colors on your command to fit your mood. Still have some money to spare? Well, do consider changing all the outlets in your smart home into smart outlets. Similar to smart light switches, these outlets will allow you to turn them on or off without having to manually flip the switch yourself. Last but not least… smart security! When it comes to making your smart home secure, there are tons of smart security bundles that you can buy and then install. However, if you’re planning to “smart-ify” your home in stages, then at the very least, you should grab a smart home door lock for the first stage of your home transformation. 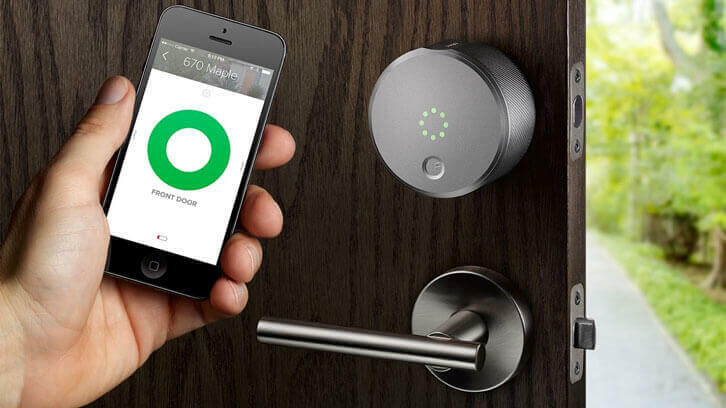 Most of these smart locks are passcode-based, meaning that you’ll need to key in your passcode to unlock your door (keyless), but there are some that have the Bluetooth-powered touch-to-open capability which generally is a lot more convenient but these locks can be a tad bit more difficult to setup and they usually cost more. In terms of brands, Schlage is usually cheaper for if you're on a budget. However, some people prefer having most of their smart devices from the same company so it’s easier to connect everything, and if that's the case, then you can grab Nest's smart lock instead. Of course, once you’ve gotten your smart lock set up, you might want to consider other forms of smart home security such as motion-activated cams for your front door, etc. Turning your home into a smart one isn’t something that’s too out of reach for the average family nowadays. With these few simple devices, you can already set up a rudimentary smart home for yourself and your family, and if you decide that living the “smart” life is for you, then you can always upgrade your setup to include more smart appliances and gadgets, turning your home into your ideal smart home!